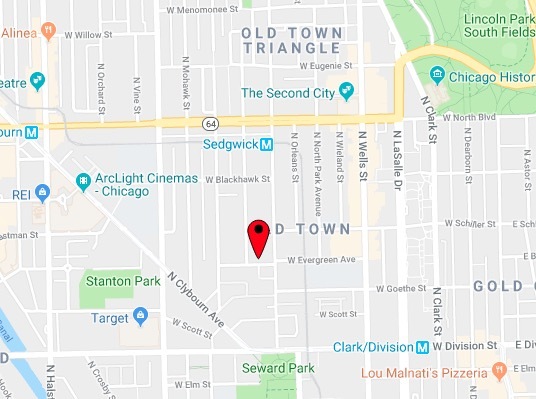 About nine shots were fired, but no persons were injured, during an incident in the 400 block of West Evergreen on Monday afternoon. Police were called to the area at 12:16 p.m. after several witnesses reported hearing the gunfire and seeing a group of teenagers running from the scene. At least one unoccupied vehicle was struck by a bullet, police said. A Chicago police pod camera captured images of a male gunman standing in the middle of the street and shooting toward the west, according to an officer on the scene. Police recovered nine shell casings. Police said the gunman fled south between a set of buildings after firing the shots. He is described as a tall black male with short hair who was wearing white gym shoes, gray stonewashed or ripped jeans, and a dark-colored jacket with a white dragon design on the back. The shooter was accompanied by another tall black male with short hair who was wearing blue jeans, and a ripped blue jean jacket that may have bleach stains on it. When police pulled 24-year-old Pierre Moore over in the 1300 block of North Cleveland on the evening of November 1st, their only intention was to issue a traffic citation. But Moore, of the Roseland neighborhood, wound up with much more trouble than that. Police said they noticed broken glass on the floor of Moore’s car, but all of the windows of his vehicle were intact, according to court records. Suspicious officers searched Moore’s car and found stolen property belonging to six separate crime victims, prosecutors say. In addition to traffic violations, Moore is now charged with five counts of theft of lost or mislaid property and one count of criminal damage to property. 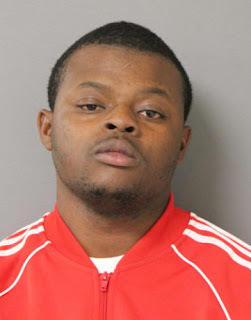 He was released on a $1,500 deposit bond.